There are very few yachtsmen and women who like climbing the mast on their boat. However, from time to time, it is unavoidable. If a halyard jams at the masthead, the consequences can be critical. When the masthead navigation light bulbs fail, it is tempting to leave them "until the end of the season". However, that is dangerous and possibly illegal! MastaClimba can make mast ascents almost enjoyable; even when ascending solo! ascending using the MastaClimba is quick and easy. 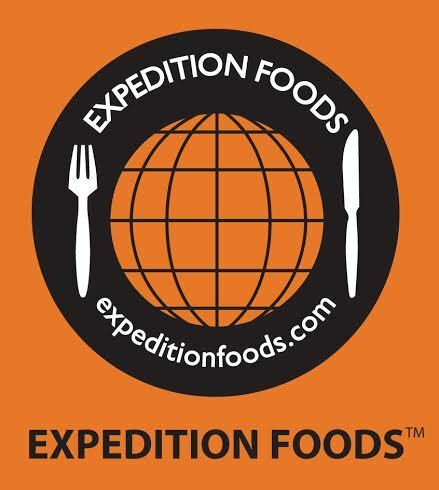 Expedition Foods - Delicious, Nutritious, light weight meals! With a wide range of meals to choose from Expedition Foods packs a real punch when it comes to nutrition, as it has the highest calorie-to-weight ratio, making it ideal for off shore sailing. 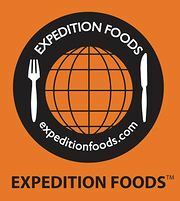 With thanks to assistance from Expedition Foods, Lizzy will be consuming a mixture of high calorie Expedition Foods meals during the 2015 Mini Transat. Want to try the meals for yourself? Come along to one of Lizzy's inspirational talks for a tasting session and to receive a special discount code! Sport Kitchen's QSM's (Quick Sports Meals) are available in six savoury options, and four cereal options. Sport Kitchen balanced meals provide the perfect ratio of protein, carbohydrate and fat; typically 300 calories a pot, the average nutritional value is 34g Protein, 30g Carbs (low GI) and 4g of fat. The Sport Kitchen meals are quick and easy to prepare - just add boiling water to the pot, stir, and enjoy! Consequently, Sport Kitchen meals are enjoyed by athletes who need a convenient way with which to fuel and recover during competition and training. Perfect for offshore, the boat park and while on the road, Sport Kitchen provides the majority of Lizzy's nutrition during her 2015 Mini Transat campaign. Handpresso… is the portable coffee…. And it's a world of its own! With its portable machines, Handpresso has coupled coffee quality to mobility. To make it possible now to drink a premium-quality coffee, wherever you are. Today, Handpresso works with the major actors in coffee brewing, innovates and designs yet other new products . After its pure espresso experience, the company extends its universe to all coffee amateurs. In our range of portable machines, you will find machines preparing long or short coffees. Anywhere! Moreover, Handpresso's story keeps on growing thanks to partnerships with car manufacturers as famous as FIAT, AUDI, VW, Suzuki and Skoda. Other partnerships are envisaged or being finalized. Responding to the slogan "Anywhere", Handpresso is a whole range of manual or electric machines, which travel with you during all your leisure activities. Distributed in over 50 countries, 400,000 Handpresso machines have already been sold in the world, generating just as many happy users and brand aficionados. No matter how you like to keep fit – whether you're a runner, a cyclist, enjoy walking or practice yoga – we have ladies' sportswear that's been carefully designed to meet the physical requirements of any sporting discipline. We pay close attention to our sportswear design, and pride ourselves on our extensive selection. Suitable for sports, fitness and great as leisurewear, our range of sportswear and women's gym clothes includes tops, bottoms, bras, jackets and trainers. We are proud to announce that we are now sponsoring Lizzy Racing. Her objective is simple: The 2015 MINI TRANSAT - A race across the Atlantic in a boat only 6.5m long! This is not a challenge for the faint hearted, as it involves single handedly sailing a boat across the atlantic ocean with no support and minimal communication methods for an entire month. Here at TLC Sport, we find it incredibly inspiring how much Lizzy has achieved at the young age of 24! Through passion, dedication, time and commitment, Lizzy has qualified to take part in one of the most mentally challenging races in the world and we wish her every success. Lizzy is a credit to all women in sport and we are very proud of all her achievements to date, along with her ambition and vision for the future . This is one girl who definitely can. #THISGIRLCAN Wishing you all the best of luck, The team at TLC Sport. DON'T JUST DRINK WINE, EXPERIENCE IT! Based in Hampshire covering Portsmouth, Southampton, Winchester and Bournemouth as well as Chichester in West Sussex, The Solent Wine Experience offers Team Building events, Corporate and Private wine tasting events and wine courses, providing the perfect opportunity for wine enthusiasts and total novices to enhance your knowledge of wine and therefore you enjoyment of wine. Its all about personal taste so I aim to explore a vast array of different wines allowing you to discover which styles you prefer. For many of us, trying to decide which wine to purchase can be a very confusing and daunting task. From Merlot to Mourvedre and Chardonnay to Chenin it can be tricky knowing which wine will be great and which wine will not. You will gain a better understanding of the grape varieties used and their style, giving you the confidence to choose wines you may not have tried before and wines you know for sure you will enjoy. With over 25 years of experience within the wine trade, you can sure of a quality, entertaining and professional service. The Solent Wine Experience will be supporting Lizzy with her fundraising events. Hudson Wight combines sailing experience, proven fabric technology and design and manufacturing expertise to produce great looking, lightweight and breathable 'offshore spec' gear at less than half the price of other brands by supplying direct to the customer. 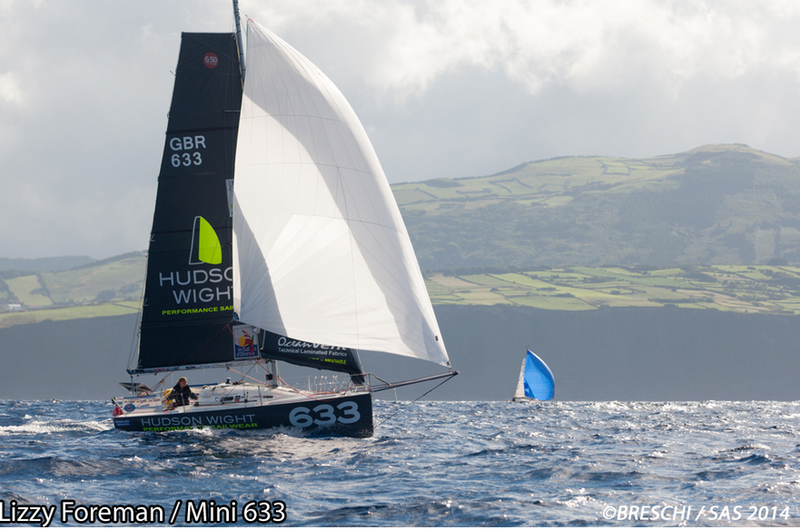 Hudson Wight is the Title Sponsor and official clothing supplier for Lizzy's Mini Transat 2015 campaign. Click the link below to get a great deal on Hudson Wight gear and contribute to Lizzy's campaign. We'll donate 15% off sales using this link or the code LIZZYRACING to support Lizzy's ongoing campaign. ''When I made the decision to support Jessica Watson's Dream at the end of 2008, I knew I needed to quantify my efforts to promote adventure and give it a "Brand". I had sold McIntyre Marine Services and McIntyre Marine Composites, so had nothing to promote or sell as such. I was "retired" and getting on with my definition of "life". I decided then to bring it all under the one banner "McIntyre Adventure", as the Brand for me to have fun adventuring and to support adventure especially in the young . ''Lizzy is an inspiration to so many, doing everything right with real passion, that all at McIntyre Adventure are pleased to support her. EFG International is a global private banking group, headquartered in Zurich, Switzerland. 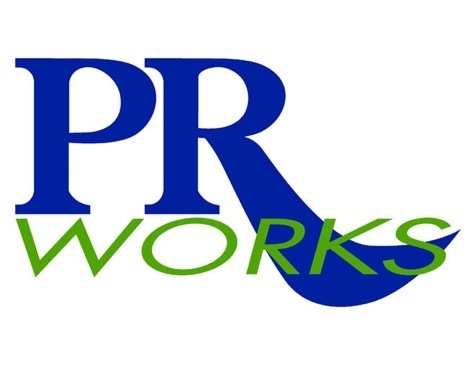 It has a record of dynamic growth, courtesy of providing clients with a level of service they expect and deserve. It operates in 30 countries across Europe, Asia Pacific and Latin America, and has some 2,000 employees. To find out more about EFG, visit www.efginternational.com. EFG has a strong commitment to sailing, and is proud to be able to support Lizzy Racing in the 2015 Mini Transat. In addition, it sponsors: EFG Sailing Team, Switzerland; EFG Mandrake in Division A regattas, Asia; BACARDI Sailing Week, Miami and Newport; The EFG Pan-American Viper 640 Championships; The EFG Star Winter Series, Florida; Antigua Classic Yacht Regatta; Panerai British Classic Week; EFG Sailing Arabia – The Tour; EFG Moth EuroCup; EFG Sailing Academy, Monaco Yacht Club; and Optimist Sailing School, Geneva Yacht Club. 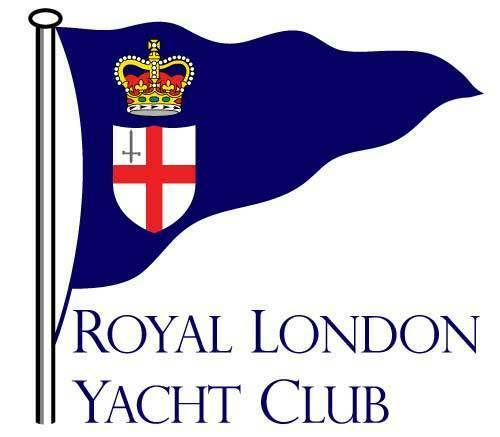 The Royal London Yacht Club Youth Charitable Trust aims to introduce youth from the Isle of Wight to sailing and to support World and Olympic hopefuls, also from the Isle of Wight. 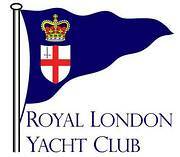 The Royal London Yacht Club is adding Lizzy Foreman's campaign to compete in the Mini Transat in 2015 to its sponsorship programme. Lizzy will use the sponsorship from the RLYC Youth Trust towards her training and development for the Mini Transat. The Westminster Champions of the Future Programme / GLL Sport Foundation have awarded Lizzy a 2014/15 Achievement award, following her support from GLL in 2013/14. 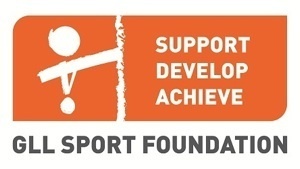 The GLL Sport Foundation is one of the leading independent supporters of young sporting talent in the UK; having currently provided over 5000 athlete award bursaries, totalling over £2.8million of support. 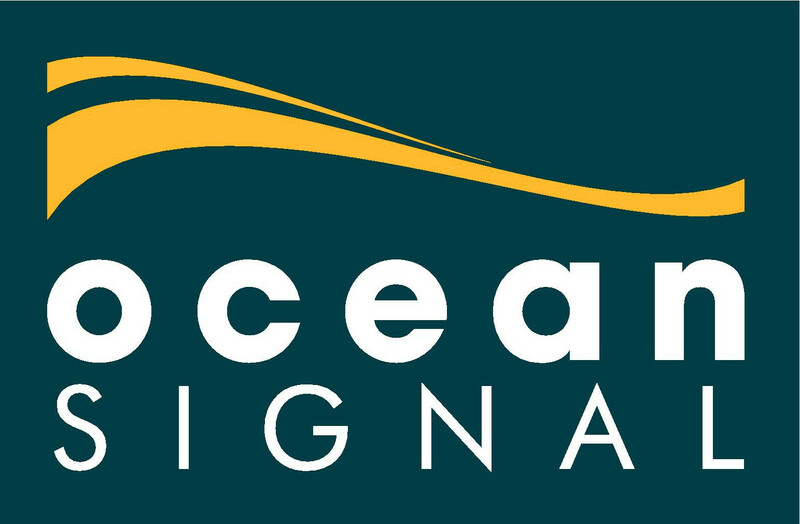 Communication and safety at sea specialist Ocean Signal™ is dedicated to providing the technology and quality of product that will set industry standards. Ocean Signal are supporting ambitious solo sailor Lizzy Foreman in the 2015 Mini Transat by providing the young British sailor with an Ocean Signal SafeSea® E100G EPIRB, a rescueME PLB1 and a SafeSea S100 SART for the two-legged crossing which departs from Douarnenez in France on September 19 and is due to finish in Guadeloupe in mid-November, 2015. Ocean Signal's rescueME range of products, which includes the rescueME PLB1, the rescueME MOB1, the rescueME EPIRB1 and the rescueME EDF1 electronic distress flare, and SafeSea range of GMDSS products, including the E100 and E100G EPIRB, S100 SART and V100 handheld VHF radio, provide both recreational and commercial mariners with simple to use, compact and affordable life-saving solutions. All products are engineered by a highly experienced team of marine electronics professionals. It is tough and can take everything the city throws at it, every day. 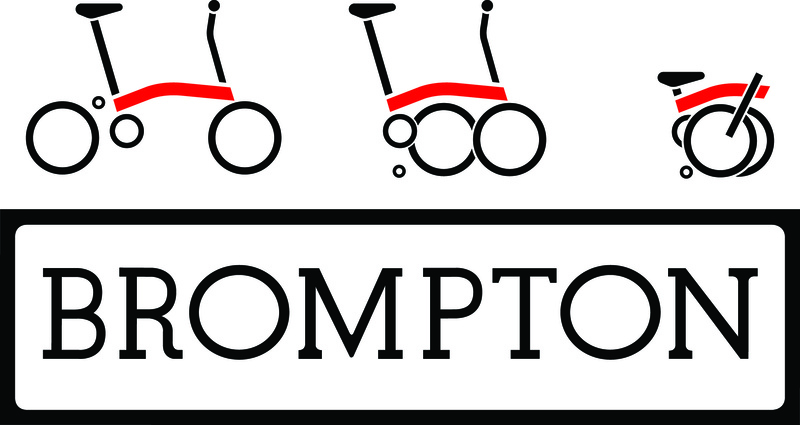 A steel frame, efficient and puncture resistant tyres, handmade with high build quality and a design that has been refined over 25 years means Brompton bikes provide years of regular city use and beyond - check out these amazing journeys, pushing the bike to the limit. Brompton are pleased to support Lizzy in her Mini Transat campaign through the loan of a bike; reducing transport times and costs during her travels! Peta Stuart-Hunt runs an established and well-respected leisure marine consultancy whose delighted clients benefit from hard-working, professional, creative and results-orientated media and sponsorship support campaigns. Peta combines first-class PR skills with huge experience, excellent contacts and that rare ability to get the job done... on time... and within budget. Marine Bedding Company is a specialist manufacturer providing custom made, bespoke boat, yacht and motorboat pocket sprung, latex, memory foam mattresses and bedding; both in the UK and Europe. Key products include yacht, boat, RV, caravan and ship mattress cushions made for the leisure and commercial sectors, carrying Crib 5 and 7 fire rating, IMO (International Marine Organisation) and Wheelmark certification when required. 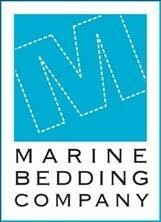 Marine Bedding Company have supplied Lizzy with a bespoke mattress to use on her Mini 6.50 in the lead up to races - quality rest is essential before racing offshore, solo, when sleep becomes minimal! At SealSkinz® we have over thirty years experience in developing and manufacturing endurance accessories. From our conception we’ve worked in partnership with some of the world’s greatest athletes including mountaineers, explorers, cyclists, skiers, runners, sailors, horse riders & all forms of mad ultra-event teams and individuals, to ensure our products deliver the very best in comfort and performance, to enable you (and all the other Sealskinz wearers) to defy the great outdoors. For over 75 years, Flag Paints have been supplying high quality paints and finishes to some of the worlds largest companies. 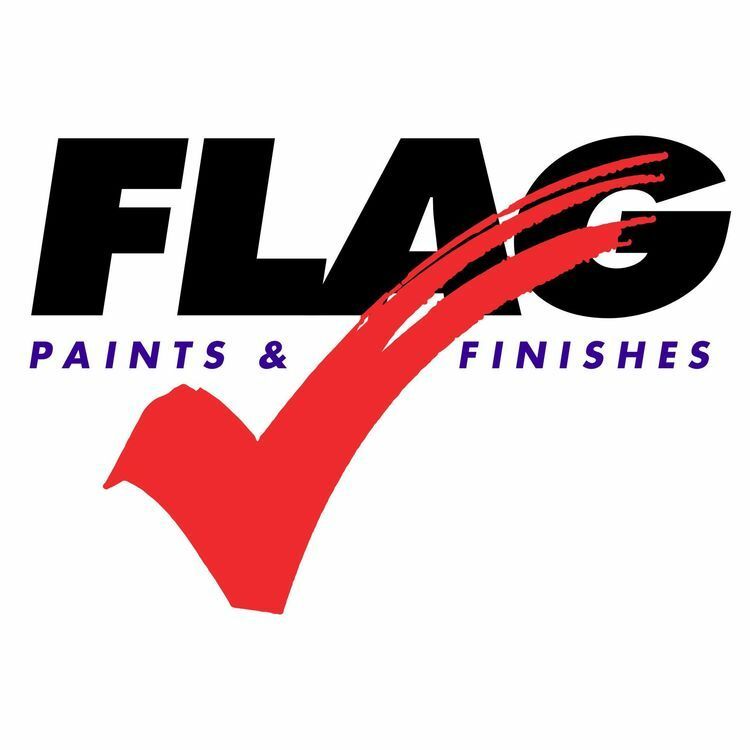 Flag Paints products (whether off-the-shelf or tailor made solutions) include bespoke paints, waxes, lacquers, varnishes and general coatings. Lizzy will be using Flag Performance Extra antifoul for supreme hull protection. LIZARD® is still one of the few Italian brands that can boast production at its factory in Italy. This reduces the environmental impact during production, and ensures that true Italian craftsmanship is maintained; which is universally recognized for quality, comfort, style and unique design. The Yellowbrick tracker is a rugged and fully self-contained battery operated tracker which works anywhere on Earth. They can either be rented for short periods of time or specific events, or purchased. The Yellowbrick will wake up every so often (e.g. every 15 minutes), obtain a position using the GPS satellite network, and then transmit that position back to an online map, which can be embedded in your website, or viewed directly. Our customers include yacht clubs, race organisers, schools, charities and government agencies – our trackers are used across the globe for treks, challenges, yacht races and many other events. Observing the harmony of nature, mechanics and human experience, it becomes possible to realize tools that improve our lives. UBI MAIOR ITALIA® is a brand from Tuscany inspired from its country culture and from craft tradition to realize its products. Ubi Maior Italia was born from a company in precision engineering (ISO 9001/8 certified). With 50 years of experience, the brand offers a wide range of deck hardware for sailing yachts; from blocks to furlers and low-friction rings. The company's purpose is to offer a new generation of hardware, in which every step of the production chain - from design right through to testing - is realized in Tuscany. Materials are certified and the items are produced in Italy; for a full 'MADE IN ITALY' product. 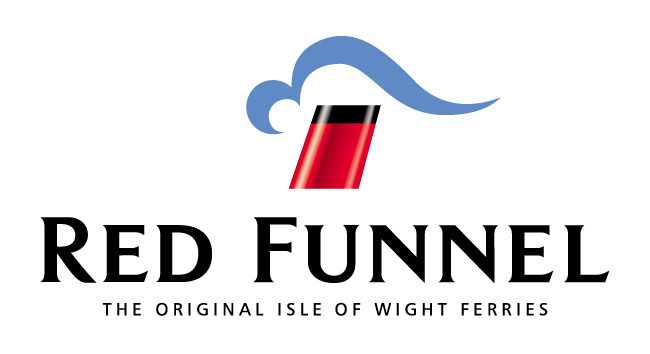 Red Funnel is the original Isle of Wight ferry company with a history spanning over 150 years in its present form but with roots stretching back as far as the 1820's. Much has changed since Red Funnel's paddle steamers ran excursions from Southampton as far as Brighton, Cherbourg and Torquay but we are still just as passionate about delivering great customer service and providing value for money. Shepards Wharf Marina is one of the Solent’s best kept secrets. Perfect for yachts and motor boat cruisers alike, this family friendly, award-winning marina offers first class berths and premier facilities. We are conveniently located two minutes from Cowes High Street and our friendly and experienced marina team will be on hand to provide advice on the best cruising grounds, show you the facilities and services on offer and generally help you out wherever they can. Nothing is too much trouble for our relaxed and friendly staff! Wessex Resins & Adhesives Limited (WRA) was formed in January 1981. Initially distributing a range of products and WEST SYSTEM materials specific to the marine industry, with the growth of the company WRA moved into the manufacture of epoxy resins and hardeners and proceeded to extend distribution channels throughout Europe. In 1990, Wessex Resins began manufacturing the PRO-SET product range alongside WEST SYSTEM Brand materials. All the products manufactured by WRA are quality approved to BS EN ISO 9001:2008 and both WEST SYSTEM and PRO-SET epoxies have been approved by Lloyd’s Register of Shipping. With these proven epoxy compositions, Lizzy has been able to make use of the company's excellent technical support - using WEST SYSTEM products to repair her Mini 6.50. Magic Marine was founded in 1989, and made its first appearance on the beaches of the Netherlands. Today, Magic Marine is being used, developed and supported by an extended network of sailors around the globe working together at the brand's headquarters. New materials, comfort, and endurance are key concepts in the development of the Magic Marine product range, with the recent introduction of Lizard Footwear to the Collection. Lizzy shall be using a number of Magic Marine 'big boat accessories' such as the storm bed, sheet bag and bumper cube onboard her Mini 6.50. 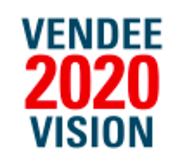 Torqeedo is, by far, the market leader in the fast growing electric outboard motor industry. As the pioneer in the area of high-tech electromobility on water, we’ve set many new standards with our motors in comparison to all other solutions on the market since we are found in 2005. Simply and cleanly break down into three pieces, transport, store – and all it takes is a couple of steps to mount it again. Apply power so gently that even casting off and mooring are fun. Talk at normal levels even at top speed: it’s all possible with the Travel 503/1003. The all-rounder offers the same performance and range as a small petrol outboard. But it’s more convenient, quieter, lighter and environmentally friendlier. The Travel 1003 easily propels tenders, dinghies and daysailers up to 1.5 tons. For hours on end, if you want. Thanks to the integrated GPS receiver, the tiller display provides continuous information about range, speed over the ground and battery capacity. An acoustic signal tells you when there’s 30%, 20% and 10% charge remaining. Then, just hook up the integrated lithium battery to a charger connected to the mains. Or there’s the 45W solar charger and the battery can be topped up, during the passage, from the sun. No wonder that, along with a complete array of distinctions and awards, Travel has been awarded Green Product of the Year on multiple occasions. 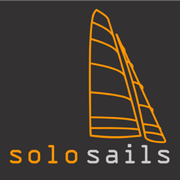 Solo Sails Sailmakers specialise in offshore performance racing and cruising sails. All of our sails are individually designed, cut and built by us in our loft in Cornwall, UK using the very best technology available. We are honoured to be able to help Lizzy power her Mini Campaign, as it's the race that lead us to start up Solo Sails in the first place! Sailcloth from Dimension Polyant; the ultimate link between wind and water. DIMENSION-POLYANT is the only sailcloth manufacturer having its own ultra-modern sailcloth weaving mill and finishing plant. Using only the best material to fulfil the highest requirements, Lizzy will be sailing by the power of Dimension Polyant sail cloth. GoPro’s focus is to help you capture and share your life’s most passionate experiences, through the camera lens. 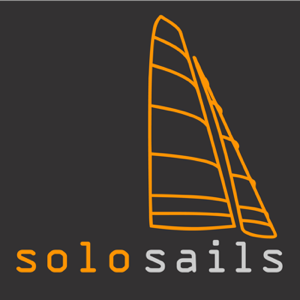 SailSpy are the GoPro UK Sailing Specialist, based on the Isle of Wight. SailSpy UK are supporting Lizzy’s campaign through the supply of a Go Pro camera and accessories. Mactra Marine are authorised dealers for Katadyn Watermakers and their associated products. Katadyn make the smallest hand operated and low power draw watermakers in the world. Built for harsh environments where reliability is a matter of life and death, Mactra Marine have kindly supplied Lizzy with a Katadyn Survivor 06 in case of emergency. Fuel Cell Systems Limited was formed in 2010 as a subsidiary of UPS Systems plc, the power technology provider. Fuel cells generate power by producing electrons directly, with no moving parts. As a result, they are very efficient, clean, quiet and reliable, producing only water vapour. Throughout her campaign, Lizzy’s Mini 6.50 will be powered by a fuel cell. Bounce Energy Balls are an amazingly convenient and tasty way to nourish your body, satisfy your hunger and sustain your energy. Made only with premium quality ingredients, the Balls are exactly what are needed to support your healthy, active lifestyle. Bounce Energy Balls will be forming a large part of Lizzy’s offshore snack packs- for instant energy on the go! Stowaway foods offer great tasting food for active outdoors people through their hearty meals and soups. With Stowaways, you have the convenience of fast and tasty meals, without the bulk and weight of tins (not to mention the incontinence of disposing the cans). Thanks to Stowaways, Lizzy now has enough provisions for her qualifying races. Harken, Inc. is a leading manufacturer and marketer of quality sailboat hardware and accessories. Their gear has dominated such events as the America’s Cup and Olympics; Harken blocks, travelers, furling systems and winches can be found aboard everything from the smallest dinghies to the largest megayachts and cruisers. Lizzy is pleased to be a Harken ambassasdor for 2013-2014 and looking forward to kitting the Mini out with the very best hardware around. Professional parts for campervan conversion. From insulation and storage solutions to swivel bases for seats, Kiravans provides prompt delivery and support for converting vehicles into true motor homes. Kiravans have very kindly sponsored Lizzy with some parts for her Vivaro van. Spinlock is an independent and innovative company, widely acknowledged as the world expert in rope holding. Based in Cowes on the Isle of Wight (the ‘home’ of yachting), Spinlock has over thirty years experience of designing and manufacturing rope holding equipment for sailing boats, from dinghies to super yachts. Lizzy’s Mini is decked out with Spinlock gear. Kevin Mole Outboards – your number one Marine Centre! Offering a range of specialist services in sales and repair of boats, outboards, inboards and electronics, it is the mission of Kevin Mole Outboards & Chandlery to provide boat owners and enthusiasts with the marine related products and knowledge that fulfils their wants and needs – beyond their expectations. KMO have been an invaluable resource of information for Lizzy & her Mini 6.50 campaign. Kelvin Hughes is a world leader in the design and supply of navigation and surveillance systems. It has been at the forefront for more than 250 years, supplying advanced navigation solutions and services around the globe. Kelvin Hughes have supplied Lizzy with the charts and publications required for her races this season. English Braids is a UK based manufacturer of synthetic ropes and braided cords. Working closely with a network of partners, English Braids deliver their product to its end application. Used in a wide range of applications including sailing, windows, lifting, engineering, winching, entertainment and manufacturing, you can be rest assured of first class service and support. Lizzy will be racing with a complete set of English Braids running rigging. Sta-Lok is a world leader in the design, manufacture and supply of high quality fittings for stainless steel wire rope and rod systems for marine and architectural applications. 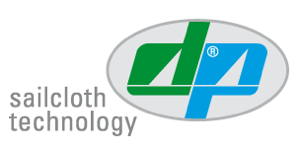 With over 40 years of experience in manufacturing, the Sta-Lok technical team can help with design and product selection. The standing rigging on Lizzy’s Mini will be provided by Sta-Lok. The Overboard commitment is simple – to provide the highest quality, sharpest looking, waterproof protection; and to make sure it is value for money. Overboard have kindly provided Lizzy with a range of products to keep her charts, clothes and food dry while out racing on the Mini 6.50. Overboard: because you shouldn’t have to leave it all behind when you head for the beach, boat or surf. CMS is a highly experienced electronic design and development company, formed in 1982. The in-house team of hardware and software engineers design and develop product for use throughout the world. CMS Marine have provided Lizzy with a Sonic Shield 2 – the intelligent antifoul device that uses ultrasonic frequencies to deter micro-organisms from attaching themselves to the boat’s hull. The AllSpars ethos: take care, pay attention to detail and we have a total commitment to supplying the highest quality of service. Formed almost 15 years ago, allspars has expanded so that the business now includes 3 arms. The core of the business supplies yachts and dinghies with masts & rigging to suit the cruiser and the racer. We also import, distribute and provide support to the UK for a number of technical marine products; while using our marine expertise to provide service and technical advice to the construction industry. Karver Systems was started by a team of engineers and naval architects with a common passion for sailing and innovation. This talented team knows that the present generation of high tech racing boats require equally high tech deck gear that accurately reflects the current evolution in performance, output efficiency, weight reduction and ergonomics. SailingClubManager is cloud based software for managing the membership and operations of Sailing Clubs, Yacht Clubs, and Class Associations. We also provide a fully managed club merchandise service, allowing club members to order branded club gear on-line. SailingClubManager is proud to support Lizzy’s campaign. BoxStuff is a digital marketing agency specialising in web application development for clubs and membership based organisations. With considerable experience in the marine sector, BoxStuff are delighted to be supporting Lizzy with web and digital marketing activities. World Supplier of FenderSock Kits, Guard Rail Covers and Safety Wire Covers. 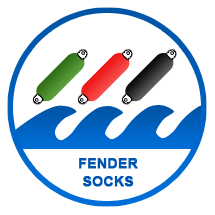 Whether you are the proud owner of a yacht, motor cruiser or other sailing vessel, protect your boat using a marine tested and proven FenderSock kit which will also improve the appearance of your boat and make your old fenders look like new!